We think of patents, trademarks and copyrights when the subject of Intellectual Property comes up. Let’s distinguish the somewhat subtle differences. Basically, patents protect rights to machine and device inventions, new processes, manufacture, composition of matter or any new and useful improvement thereof. Trademarks protect names, logos and slogans used in connection with a product or service. Copyrights protect original works of authorship from being copied and profiteered. While it would seem that intellectual property rights apply only to big business, quite the opposite is true. Small businesses own intellectual property, as well. 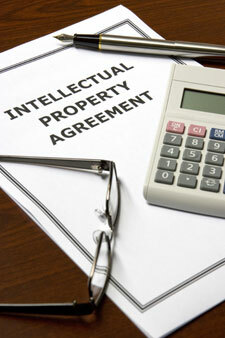 One’s client list, specific methods, formulas and even company forms are intellectual property and should be protected. Remember, anyone who contributes to your company’s success by generating or implementing ideas has the opportunity to benefit unless you protect those ideas with a Non-disclosure Agreement. You should go one step further and protect your logos, trademarks, domain names, etc. by going through the registration process. Your attorney can steer you in the right direction. Once you are properly registered, anyone who violates may be subject to treble damages! Allied Business Solutions has experience conducting Intellectual Property Infringements and will work with your lawyer to protect your ideas and hard work.